Hello everyone! I'm very happy to be back and writing for the site again. It seems like it's been a really long time, and I'm happy to continue being a part of the site. 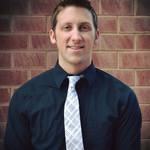 I interviewed Sioux Falls Head Coach, Kurtiss Riggs, about the upcoming season. Below is the written interview. I hope you all enjoy! DG- For the first time in seven seasons, the Storm is not coming into the season as the defending IFL champions. The team was the top dog for several years. Do you at all feel like an underdog coming into the 2018 season? - How are you preparing the team to get back to the United Bowl, and re-gain the status of champion? - As you are winding down training camp, can you tell us a little about the team which has been assembled? Can you describe the mixture of youth and experience? - The team had some returning players, but you've added some pieces. Can you describe what type of players you were looking for to round out this season's team? 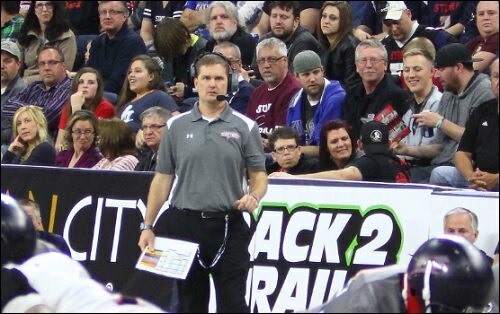 - The Storm have one of the larger coaching staffs in the league. How do you manage that, and oversee each coach's responsibility for the betterment of the team? - It's been a roller coaster off-season. The Storm leaving, then returned Wichita Falls and Spokane folded. The Project FANchise teams folded and left. The Bloomington Edge and West Michigan Ironmen are delayed from joining the IFL. All things considered how do you feel about the state of the IFL overall? - The IFL has a couple of innovations which not all other indoor/arena teams don't feature. The first is that all games are being televised on YouTube for free. The second is the instant replay review system announced this year. Can you tell us a little about your perspectives on these aspects of the league? - You've been at this for quite some time; 16 years now as head coach with the Storm? How do you compare the beginning of your coaching career with where the team is now? - How has that longevity helped you and the team achieve the success you and the Storm have enjoyed? - The Storm have a terrific following among their fans and in the community. Could you touch on what that means to you, the staff, the coaches and the team? - The IFL features an amazing stream of philanthropy by players, coaches and teams. How important is that to give back to the community for you? - Is there anything else you would like our audience to know? The Storm start their season this Sunday against the defending champion, the Arizona Rattlers. To share this post on social media, please go to the right side of the page (the top of the page on the mobile site) to the social media icons and choose which social media site(s) to share the thread. To comment on this thread and others on this forum, please[/i] login or register. I love his chuckle at the first answer. He's been around this game forever and seems very introspective. Thanks for taking to time to get this interview with the coach. His perspective is very much appreciated! The chuckle was funny! Great question! I think he said some really good things about preparing for the season and talking about the youth of the team. It was interesting to hear his perspective on k8nd of just rolling with league changes in the off-season. Excellent work Drew, and thanks to coach Riggs for tak8ng the time to talk with us! His comment about YouTube is pretty good. I remember that being a concern last season. In the end, however, if you're putting a good product on the field, you have a strong game day experience and you're doing good things in the community, you should be able to fill seats. I appreciate how specific he was in talking about philanthropy. The story was very touching.